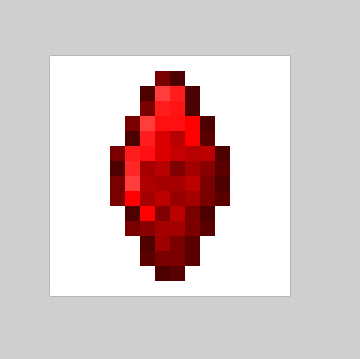 I really like the ruby, I do think the emerald could use a bit of work, it feels like it could have a few added hues, and the sapphire as well as the … golden diamond(?) is of a lower standard, perhaps I just don’t like the style of them, because they do differ from the other ones. I like them more with a more defined outline, and while the golden diamond had that, it seems extremely plane, I’m not sure exactly how the structure of it is. But I must say, the ruby actually really good. 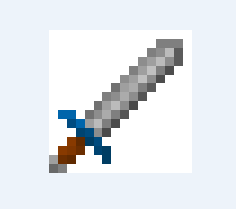 The Sword is pretty standard, well made and looks solid. The Staff or Wand, whatever it is, feels like it’s too small and cramped, I guess you only have so much space to work with. 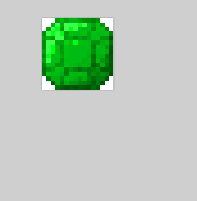 the emerald, yea i’ll agree it does need some work, same with the sapphire. 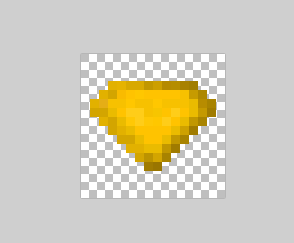 as for the gold gem, it’s a yellow Emerald type of gem, wasn’t really going for a specific type of gem(think chaos emerald), but yea it definitely needs some work. The other thing, it is indeed a wand. 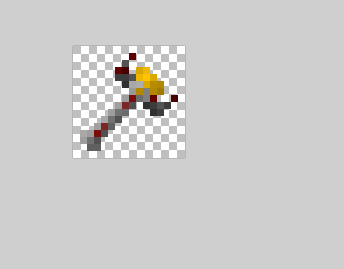 I don’t really understand why you put random shades everywhere on your texture for no really good reason. The colors are not perfect, quick edit as I said, but it’s just to show you. Also, try messing around a bit more with the colors, you’re mostly editing the brightness, try editing the saturation for a better contrast. If you have to ask why I’m doing something a certain way, you didn’t read properly. Going off of what Yalash said, remember the lines/edges. Each edge will create a different shading. 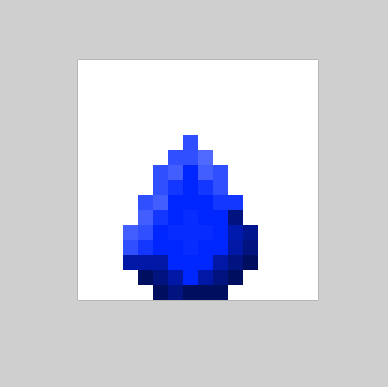 If you were making spheres then the gradual shading would be fine, but gems have a cut and will have different shades on each face.